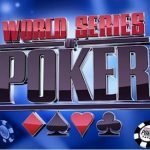 Jesse Martin has won the event#7 of ongoing 2017 World Series of poker series. 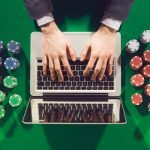 The player pocketed a sum total of amount $130,948 from the event. 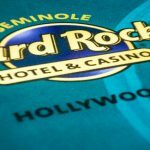 The event was $2,500 buy-in Mixed Triple Draw Lowball. This is the second god win for the winner of this match. 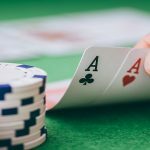 A very well known professional poker player James Obst became the runner-up of the event and collected $80,922 from the tournament, while Chris Bjorin completed his journey being third place and collected a sum total of amount $52,761 from the tournament. Martin was very happy cause of this great win. He said post the match that “I felt very comfortable” and I definitely got the better cards. 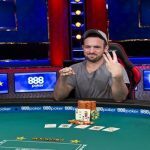 Martin total WSOP earnings now surge up to $1.85 million, while his opponent at final table (heads-up), Australia’s Obst has over $1.3 million in WSOP earnings. 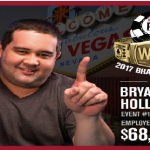 Chris Bjorin was also looking for another world series of poker gold bracelet here but couldn’t convert his third place to the winning one. 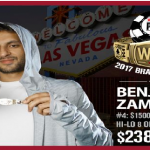 He has total 81 cash in WSOP career (out of which 75 WSOP and 6 from WSOP Europe). The three day tournament attracted 225 players worldwide and generated a handful of money as total prize pool i.e. $506,250. Top 34 players out of total 225 got some money from the game. 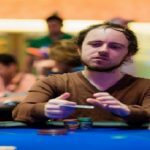 Some of the notable player who could not through themselves to the final table were Eric Wasserson, Martin Staszko, Lyle Berman, Roland Israelashvili, Randy Ohel, David “ODB” Baker. 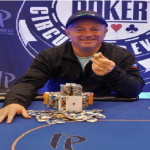 First player busted from the final table of 6 remained players was Terry Jennings, who busted to sixth place for a total winning share of amount $17,272.